This stunning Palace has been a Royal home since the 17th century and continues to be so to this day. Set in the heart of Kensington Gardens the Palace offers vistas from The Orangery has views across its own gardens to the State Apartments. From the recently modernised Entrance Hall, the statue of one of its most famous residents, Queen Victoria is displayed. The Cupola Room was home to her christening and her first Privy Council meeting was held in another of the rooms also open to the public. The magnificent State Rooms, where powerful politicians and royal couriers once vied for an audience with the Monarch, now plays host to guests wishing for the ultimate in luxurious dining. Whether it is a dinner for 20 or a larger reception for 200 the Queens Gallery, Kings Drawing Room, Cupola Room and Kings Dining Room all offer sumptuous options that are guaranteed to amaze every guest. Set just across the lawn of the Sunken Gardens is the beautiful Orangery. This elegant building offers a more contemporary option for those looking for history without the period décor. It is a romantic wedding venue, a stylish dining room and the ultimate location for a summer garden party. Accommodating up to 300 guests for a drinks reception and 150 for dinner it is deceptively spacious and flexible. Tours of the collections can be offered alongside a reception or dinner, offering guests an opportunity to view many areas of the Palace, especially the King’s Staircase with its breathtaking frescoes. The Admirable Crichton are delighted to offer 12% discount on any new bookings that will take place at Kensington Palace in January, February and March 2016 and 10% discount on any bookings made before February 28th that will take place from 1 March – 31 December 2016. 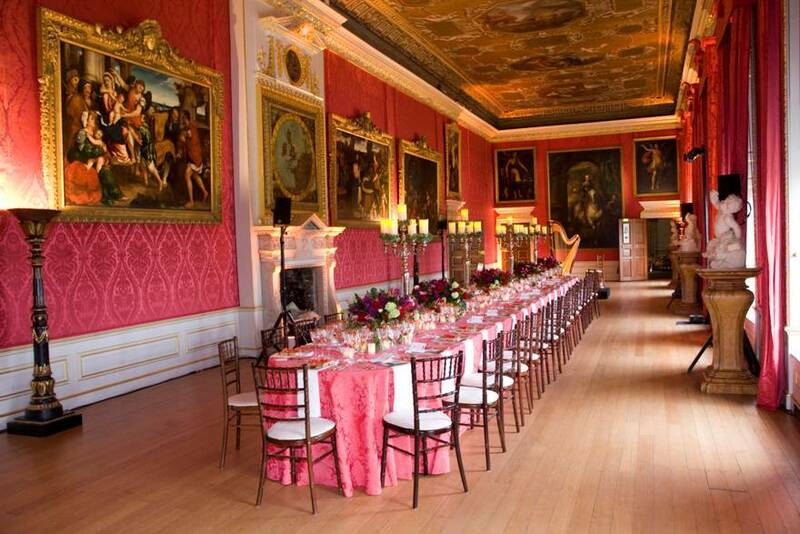 For more information about an event at this Royal Palace call to speak to a member of our team on 020 7326 3800.